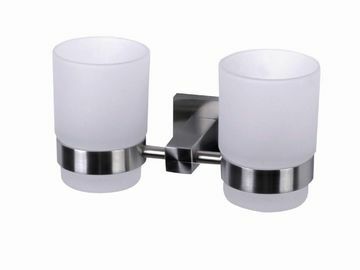 * Double ring tumbler holder wall-mounted installation. * Double glass cup, Stainless steel bracket, resistance coating. * 15 years export experience, International approves.